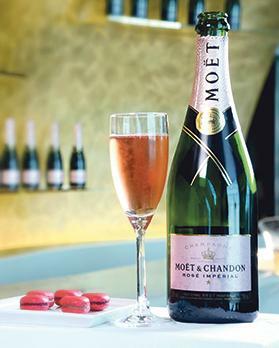 The celebrations kick off in Emirates’ network of lounges. In the Emirates First and Business Class lounges in Dubai from February 13 to 15, customers can enjoy such treats as a Valentine’s champagne treat with the lively and generous notes of Moet & Chandon Rosé Impérial, a selection of Valentine’s inspired cakes and desserts including heart shaped dark chocolate raspberry truffle, strawberry Eton mess with mini heart sprinkles, red velvet cupcakes and red velvet ice cream and Valentine’s Day coffee infusions by Coffee Planet and special biscuits from Costa Coffee. Also on offer are Emirates’ special pampering services in the lounges like the Timeless Spa and shoe shine services will also have special deals. Across most of Emirates’ network of 42 lounges worldwide, Emirates’ chefs have prepared heart shaped culinary creations or the occasion. From February 13 to 15, there will also be a special selection of Valentine’s- inspired desserts including mud cake with a chocolate ganache, berry coulis and decorated with white chocolate hearts in lounges in Australia. Onboard meals will be seasoned with a touch of romance to complement the regionally inspired cuisine. On Valentine’s Day itself, Emirates will serve a special selection of desserts on longer flights across its network. Snack baskets in First Class will feature strawberry and cream-flavoured Lakrids liquorice while in Economy Class, customers will be served a dark chocolate mousse topped with candied hearts for dessert. Customers can also get in the Valentine’s mood with ice, Emirates’ award-winning inflight entertainment system. February’s entertainment catalogue features classic favourites including romantic comedies such as Notting Hill and My Best Friend’s Wedding.